Here are the head to head statistics for Bristol City v Swansea City, after the latest meeting of the sides in a Championship game at the Ashton Gate on 2 February 2019. 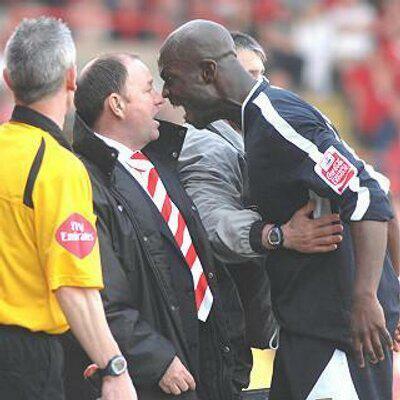 Bristol City manager Gary Johnson and Izzy Iriekpen have a difference of opinion in April 2007. 26/11/1996: Swans lost 0-1 [FA Cup 1st Round Replay] – Have a read of the match report Swans fan Richard Major did for the game for SCFC2. Why not take a look at the head to head statistics when the Swans have played Bristol City at the Vetch Field and Liberty Stadium..